Extension cable is available in a variety of insulation and jacketed materials. These include fibreglass, PTFE or PVC to name a few. 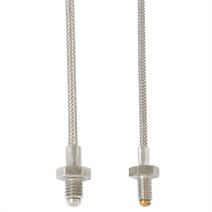 The TC47-NT nozzle thermocouple is a general purpose temperature sensor designed to suit applications where low profile temperature detection is required. 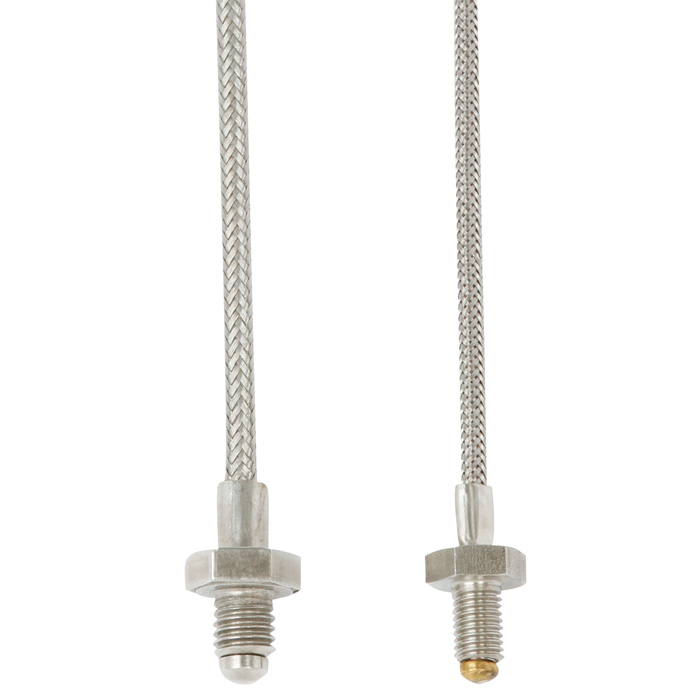 The thermocouple sensor is designed to sense temperature in a pre-determined threaded hole. The nozzle thermocouple is held in place with a threaded bolt. This allows the sensor to have a positive pressure at the tip when installed correctly. Due to the construction design, these sensors can be applied in areas that have a harsh environment that need a good positive securing method.